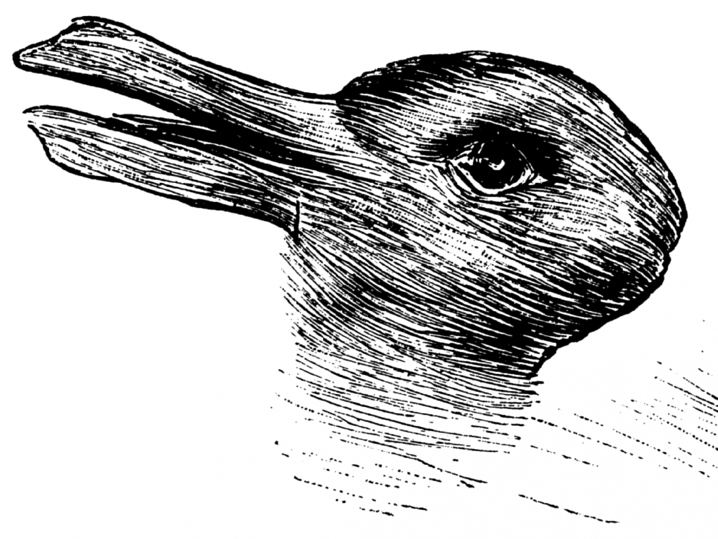 Look to the right and it is obviously a rabbit; look to the left and it becomes a duck. This perceptual image is a great example how our brains actively screen what we see. Our brains are efficiency driven and as a result, we most often see what we expect to see. The unexpected is often ignored until it is pointed out. Why is this important in the child or adult with cerebral palsy? Last week I wrote about the progressive maturity of the child’s brain from birth through puberty. (Test and Test Again Brains Keep Growing) Looking at the change in colors in the brain’s images, it is very clear that the teenage brain is capable of far more than the baby brain. Unfortunately, this obvious fact is frequently ignored in the child with a cerebral palsy diagnosis. In many cases, we continue to see what we expect to see – a child with a diagnosis of hemiplegia, diplegia or quadriplegia – and as a result, our brains do not actively consider that the child’s brain has been growing and maturing over time. New functional capability should be possible. The CP diagnosis does not change, but the brain does. Permanent Problem or Treatment Failure? In my view, the one overarching reason for the lack of functional improvement is the common treatment failure of only looking at the usual parts of the neurological examination. We carefully look at the child’s walk, we measure the joint range of movement and in many cases we even do a gait lab to more accurately examine the walk. But as I explain in my upcoming book, most children in GMFCS Levels I and II run better than they walk. (The Boy Who Could Run But Not Walk) And this is not just my opinion. When tested in a gait lab, the run is biomechanically better than the walk.3 The walk is a persistent, early-learned habit and you cannot change a habit by working the habit. You do not learn to walk better by walking badly. There are many ways for brains to solve problems and the older the child, the more options they have. As ever, I welcome your comments and suggestions. National Institute of Neurological Disorders and Stroke, Cerebral Palsy Information Page, http://www.ninds.nih.gov/disorders/cerebral_palsy/cerebral_palsy.htm, (accessed Jan. 9, 2016). Jon R. Davids, Anita M. Bagley and Matthew Bryan, “Kinematic and kinetic analysis of running in children with cerebral palsy.” Developmental Medicine & Child Neurology, 40 (1998): 528-535. Brains never cease to amaze. I once had a Young client with a very progressive type of leukomalacia which limited her lifespan to 3-4 yrs. Even as I noticed the presentation of balance disturbance when she looked up, she was developing a new gross motor skill – jumping. I love reading your blog and can’t wait for your new book (I pre-ordered last night)! My 1 1/2 year old son has cystic PVL but the sky is still the limit!